Presidents’ Day began as a way to pay tribute to George Washington, but it evolved to become a way to honor all our presidents. 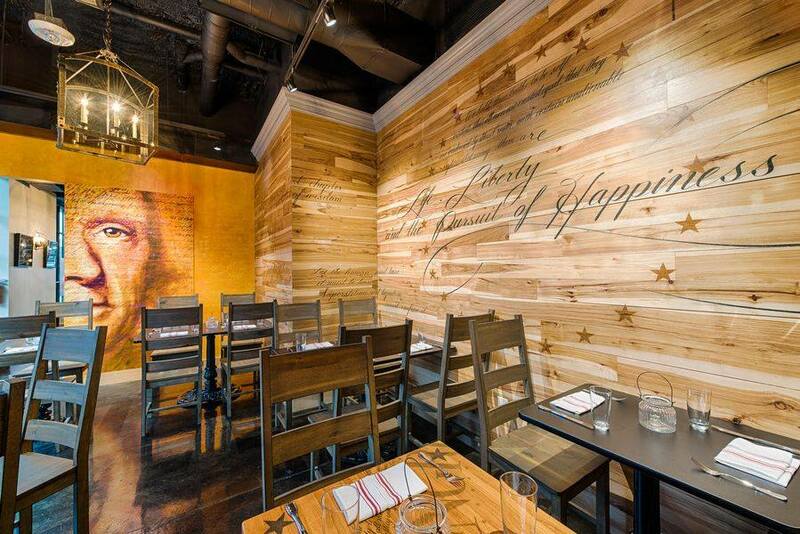 For many Americans, it’s simply known as part of “that three day weekend near the end of February.” The national holiday is the perfect time to dine out, so here are six presidentially inspired Washington, D.C. restaurants for Presidents’ Day where you can enjoy a meal worthy of a commander in chief in and around our nation’s capital. The first thing you see when you walk through the door is a host stand emblazoned with the George Washington quote, “I’d rather be on my farm than be emperor of the world.” It’s the first of many nods to America’s first president. Each area of the restaurant is a unique microclimate inspired by some aspect of Washington’s Mt. Vernon estate – from the Pleasure Garden by the bar and the Sunshine & Honey dining room aglow with honeycomb accents to the 16-person private dining room, the General’s Parlor, located in the lower level off the kitchen. 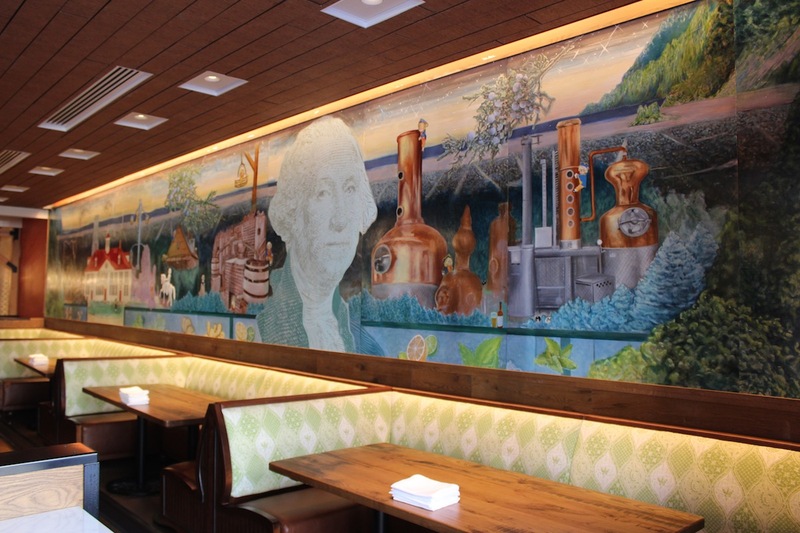 As if that weren’t enough, axioms from Washington’s “Rules of Civility and Decent Behavior in Company and Conversation” are inscribed into the bar top and a narrative mural of his life occupies the western wall. Make a reservation at Farmers & Distillers. The first effort from PRG Hospitality (Presidential Restaurant Group) pays homage to America’s 16th president. Honest Abe gets a 21st-century makeover courtesy of the stunning visionary work of interior designer Maggie O’Neill. There’s a poppy portrait of the Rail-Splitter, a backlit glass engraving of the Emancipation Proclamation, and plenty of his quotes scattered about the place. Initially, the floor was covered with nearly one million pennies, but they weren’t up to the foot traffic. Now 6,000 of the copper discs are embedded in more durable wooden flooring. To get the full Lincoln experience, guests can request to sit in a custom-made, oversized white leather chair inspired by Abe’s memorial seat. Make a reservation at Lincoln. Theodore Roosevelt is the object of affection at PRG Hospitality’s second effort. They chose a fitting location for the restaurant. During Teddy’s tenure as Assistant Secretary of the Navy under President McKinley, he lived across the way at 1200 19th Street. The eatery features homage galore to the 26th president’s love of hunting and the great outdoors – a birch forest diorama, faux taxidermy, and real animal skulls. If you want to get a taste of the wild life, there’s bison tartare on the menu. Make a reservation at Teddy & the Bully Bar. As you would expect, the corner restaurant in northern Shaw – and the third outing from the Commander-in-Chief obsessed team at PRG Hospitality – takes inspiration from the piece of parchment that kicked off America. Of course, there’s an oversized mural of the namesake document. But that’s not all. The pizzas pay tribute to the 13 founding colonies and are named after the signers. Price? $17.76 each, of course. Believe it not, the space clocks in at 1,776 square feet as well. Thomas Jefferson gets a special shout-out in the design with a nickel-covered wall. Make a reservation at Declaration. Giving a nod to the Oval Office just a couple of blocks away, this restaurant is a power lunch fan favorite amongst lobbyists, politicos, and PR spin doctors. Restaurateur Ashok Bajaj’s downtown institution has hosted a pair of Presidents (Clinton and George H.W. Bush), Senator Dianne Feinstein, White-House-chief-of-staff-turned-Chicago-mayor Rahm Emanuel, and former Secretary of State Condoleezza Rice, who once said it was her favorite restaurant. 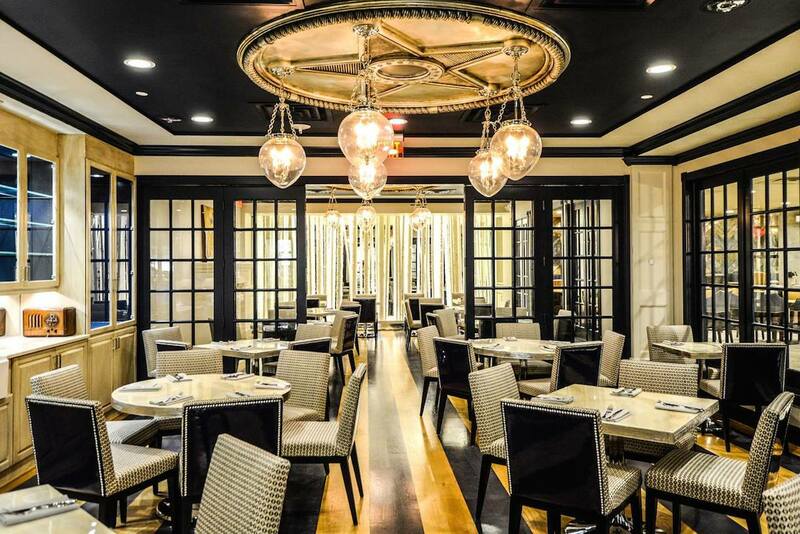 The décor demurs from any presidential references, but the tables are set up with plenty of room in between them and there are several out-of-the-way nooks, so diners can do deals discreetly. 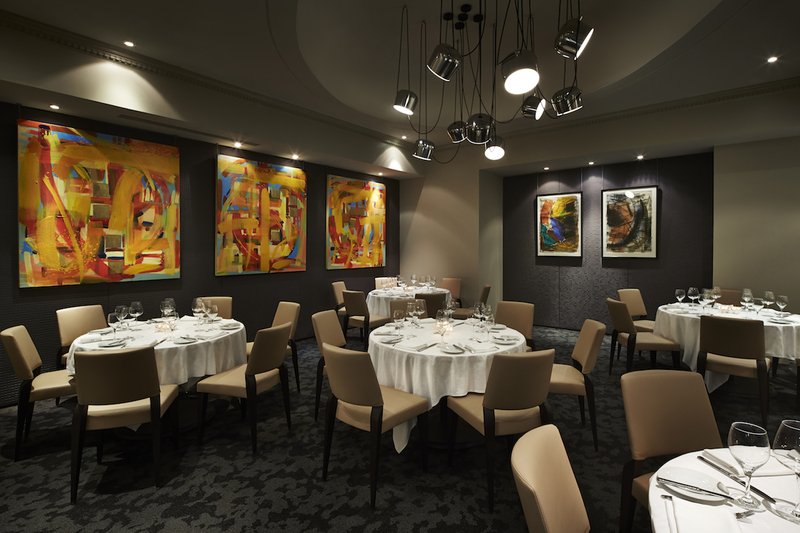 Make a reservation at the Oval Room. You’d swear you’d been transported back to the 18th century if you weren’t taking pictures of everything with your iPhone. Just steps away from George Washington’s former home, this cozy inn recalls a bygone era with its early American aesthetic, servers dressed in charming colonial garb, and dinners illuminated by candlelight. The menu includes several nods to classic continental cuisine, including hoecake topped with country ham and crabmeat, Virginia peanut and chestnut soup, and shrimp atop stone-ground grits from Washington’s onsite gristmill. Make a reservation at Mt. Vernon Inn Restaurant. 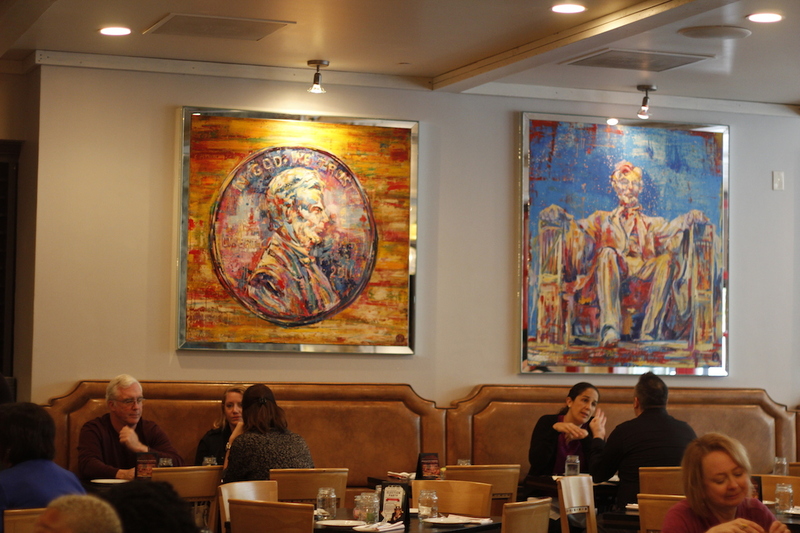 What are your picks for D.C. area restaurants for Presidents’ Day? Let us know here or over on Facebook, G+, Instagram, Pinterest, or Twitter. Photo credits: Mt. 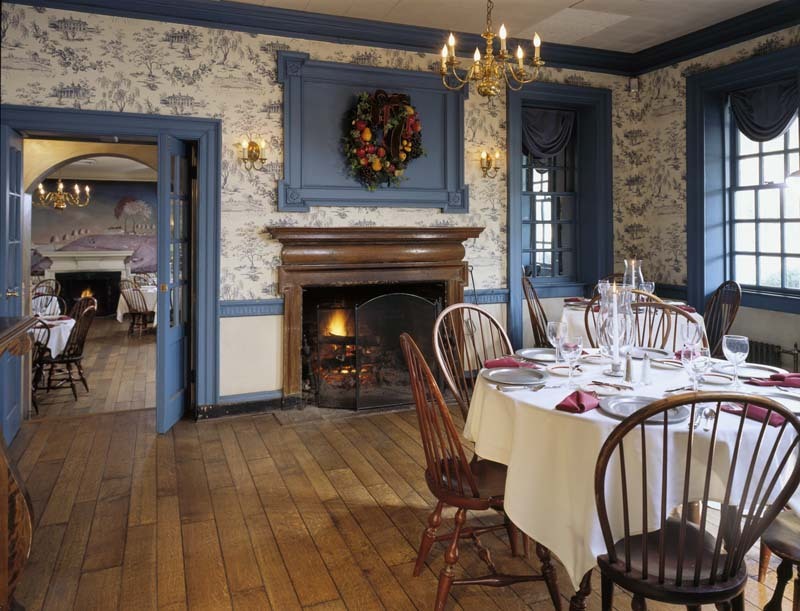 Vernon Inn (courtesy of); Greg Powers (Oval Room).